Skagen is a well-know maker of thin and uniquely Danish watches. 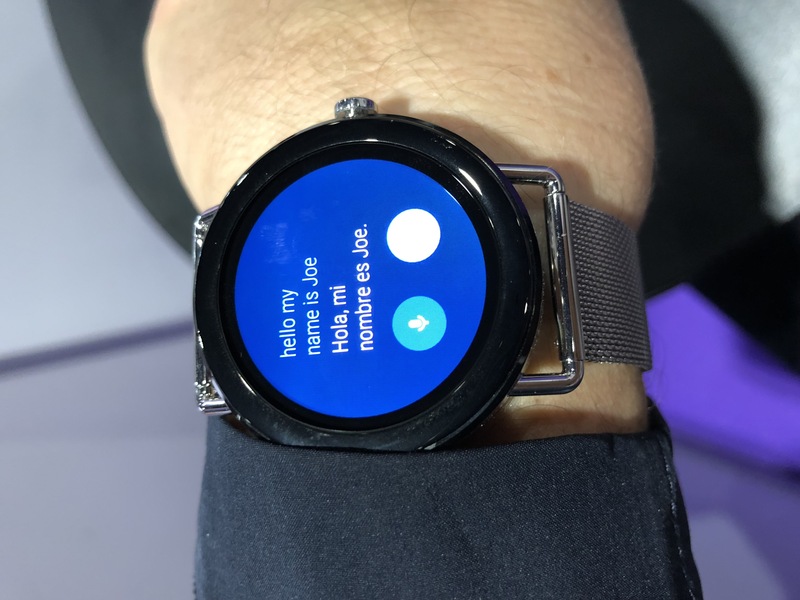 Founded in 1989, the company is now part of the Fossil group and, as such, has begin dabbling in both the analog with the Hagen and now Android Wear with the Falster. The Falster is unique in that it stuffs all of the power of a standard Android Wear device into a watch that mimics the chromed aesthetic of Skagen’s austere design while offering just enough features to make you a fashionable smartwatch wearer. The Falster, which costs $275 and is available now, has a fully round digital OLED face which means you can read the time at all times. 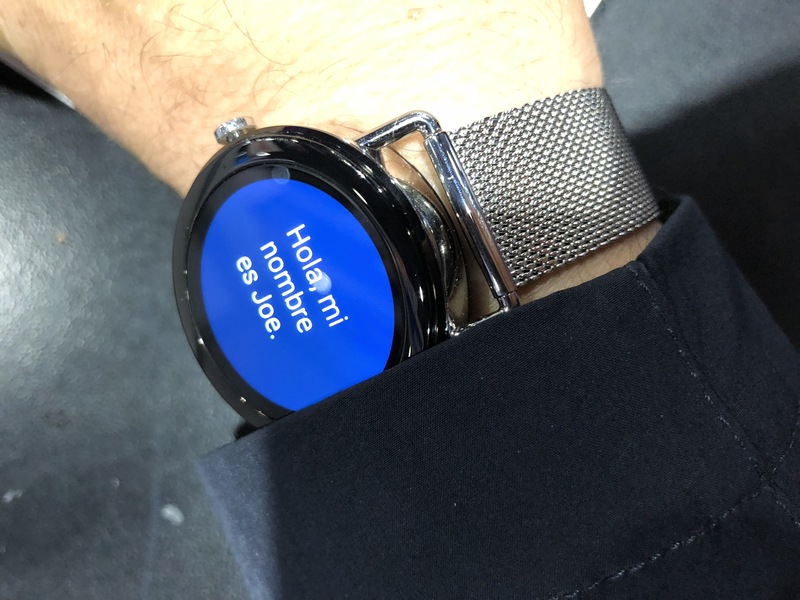 When the watch wakes up you can see an ultra bright white on black time-telling color scheme and then tap the crown to jump into the various features including Android Fit and the always clever Translate feature that lets you record a sentence and then show it the person in front of you. You can buy it with a leather or metal band and the mesh steel model costs $20 extra. Sadly, in order stuff the electronics into such a small case, Skagen did away with GPS, LTE connectivity, and even a heart-rate monitor. In other words if you were expecting a workout companion then the Falster isn’t the Android you’re looking for. However, if you’re looking for a bare-bones fashion smartwatch, Skagen ticks all the boxes. What you get from the Flasterou do get, however, is a low-cost, high-style Android Wear watch with most of the trimmings. I’ve worn this watch off and on few a few weeks now and, although I do definitely miss the heart rate monitor for workouts, the fact that this thing looks and acts like a normal watch 99% of the time makes it quite interesting. If obvious brand recognition nee ostentation are your goal, the Apple Watch or any of the Samsung Gear line are more your style. This watch, made by a company famous for its Danish understatement, offers the opposite of that. Skagen offers a few very basic watch faces with the Skagen branding at various points on the dial. I particularly like the list face which includes world time or temperature in various spots around the world, offering you an at-a-glance view of timezones. Like most Android Wear systems you can change the display by pressing and holding on the face. It lasts about a day on one charge although busy days may run down the battery sooner as notifications flood the screen. The notification system – essentially a little icon that appears over the watch face – sometimes fails and instead shows a baffling grey square. This is the single annoyance I noticed, UI-wise, when it came to the Falster. It works with both Android smartphones and iOS. What this watch boils down to is an improved fitness tracker and notification system. If you’re wearing, say, a Fitbit, something like the Skagen Falster offers a superior experience in a very chic package. Because the watch is fairly compact (at 42mm I won’t say it’s small but it would work on a thinner wrist) it takes away a lot of the bulk of other smartwatches and, more important, doesn’t look like a smartwatch. Those of use who don’t want to look like we’re wearing robotic egg sacs on our wrists will enjoy that aspect of Skagen’s effort, even without all the trimmings we expect from a modern smartwatch. Skagen, like so many other watch manufacturers, decided if it couldn’t been the digital revolution it would join it. The result is the Falster and, to a lesser degree, their analog collections. Whether or not traditional watchmakers will survive the 21st century is still up in the air but, as evidenced by this handsome and well-made watch, they’re at least giving it the old Danish try. January 9, 2017 at 11:01 AM What if the iPhone had never arrived?